Stephen Graham (Save Me, Taboo, This Is England) will star as guest lead in Line Of Duty series five, it was confirmed today. Graham will play John Corbett alongside Rochenda Sandall (Girlfriends, Broken) as Lisa McQueen - two pivotal figures in a deadly organised crime group. Known to have links with corrupt police officers and suspected to be under direct command of the shadowy figure known only as 'H', Corbett and McQueen become persons of interest to AC-12 following an explosive chain of events. Line Of Duty series five, written and created by Jed Mercurio and made by World Productions for BBC One, will follow a new case for AC-12 set nearly two years on from the hit crime drama's previous instalment. Joining regular series lead stars Vicky McClure (DS Kate Fleming), Martin Compston (DS Steve Arnott) and Adrian Dunbar (Supt. Ted Hastings), the new series will also see the return of Maya Sondhi as PC Maneet Bindra, Polly Walker as Gill Biggeloe, Aiysha Hart as DS Sam Railston, Tony Pitts as Det. Ch. Supt. Les Hargreaves and Andrea Irvine as Roisin Hastings. On joining Line Of Duty, Stephen Graham says: "It's an honour to have been asked to be part of the Line Of Duty team. I’m especially looking forward to working with Martin Compston and Vicky McClure again." 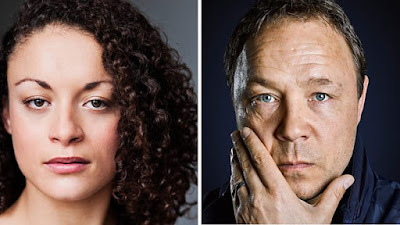 Rochenda Sandall adds: "I am honoured to be working with such a talented team of people, and to be working side-by-side with Stephen Graham, who I have watched and admired onscreen since I was young." Vicky McClure says: "Thanks to such a fantastic response from the Line Of Duty audience, it feels extra special to be back filming series five. I absolutely love working with Martin and Adrian, and Jed has without a doubt stepped it all up a gear this series. His writing just gets better and better. We have lots of great new cast members and I’m over the moon Stephen is on board, he’s a good friend and one of the finest actors. I’m already excited for the twists and turns to hit the screens. " Adrian Dunbar says “Every time we open the scripts and every time Jed does it again. It’s great to be back with my Belfast family, even if the children appear to be a little wayward…"
Showrunner Jed Mercurio says: "After the hysteria surrounding Bodyguard, it's a relief to be back in the day job. I'm delighted to be working with the old gang and welcoming our brilliant newcomers led by Stephen Graham and Rochenda Sandall." Series four of Line Of Duty was the Bafta-nominated crime drama's most successful yet, airing for the first time on BBC One where it attracted an average audience of 8.2 million viewers. Growing across its run, the series four finale was Line Of Duty's highest rated ever with a consolidated figure of 9.9 million viewers, placing it among the top five dramas of 2017 across all UK channels. Filming on Line Of Duty series five (6x60') is now underway in Belfast. 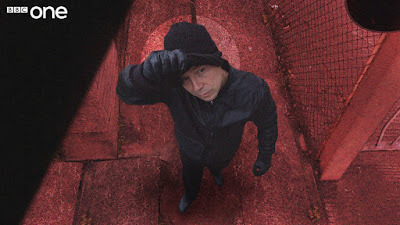 Produced by Ken Horn, Line Of Duty's executive producers are Jed Mercurio, Simon Heath and Priscilla Parish for World Productions, and Tommy Bulfin for BBC One. The series will be directed by John Strickland and Susan Tully, and was commissioned for BBC One by Charlotte Moore, Director of BBC Content, and Piers Wenger, Controller of BBC Drama. Line Of Duty is made with support from Northern Ireland Screen. Line Of Duty will return to BBC One in 2019.